Is a Move to Phoenix from Las Vegas Right for You? For those looking to move out of Las Vegas, the Phoenix metropolitan area is an excellent place to consider. 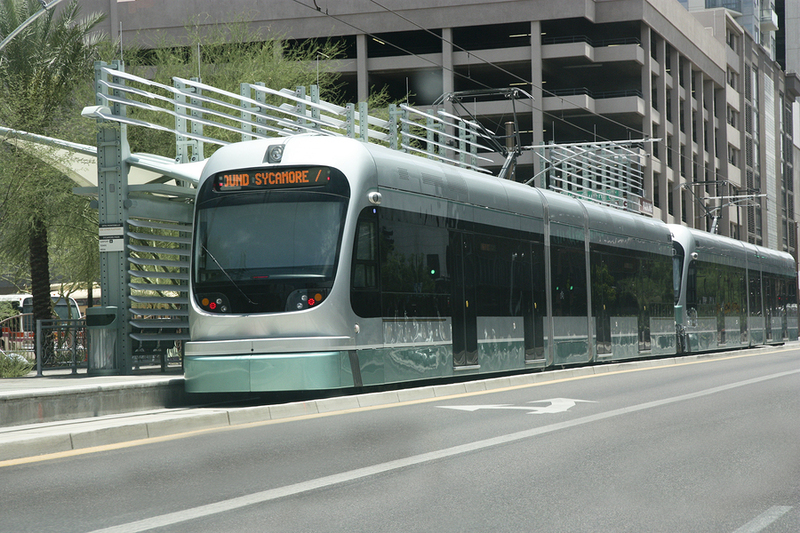 For one thing, you won’t be giving up urban amenities with a move to Phoenix which has about 1.6 million residents. In fact, Phoenix is the sixth-largest city in the United States with a metropolitan area of about 4.5 million residents. Like Vegas, it’s a favorite of snowbirds, as more than 16 million people visit Phoenix each year for fun and sun. The climate will make Las Vegans feel right at home. Like much of the American Southwest, Phoenix and its suburbs occupy an area of river valleys surrounded by impressive desert terrain. 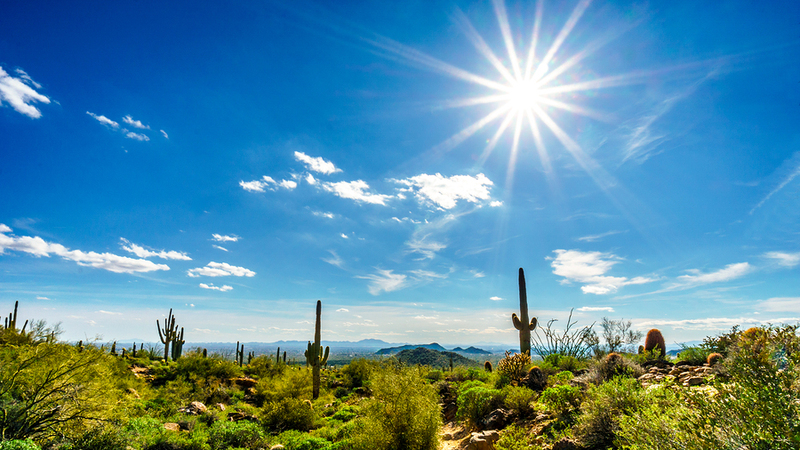 The Sonoran Desert offers hot summers, mild winters with cool winter evenings, and occasional monsoon rains. The region is slightly more humid than Southern Nevada, but nothing like the humidity one would encounter during summers in, for example, Florida or other Southeastern states. 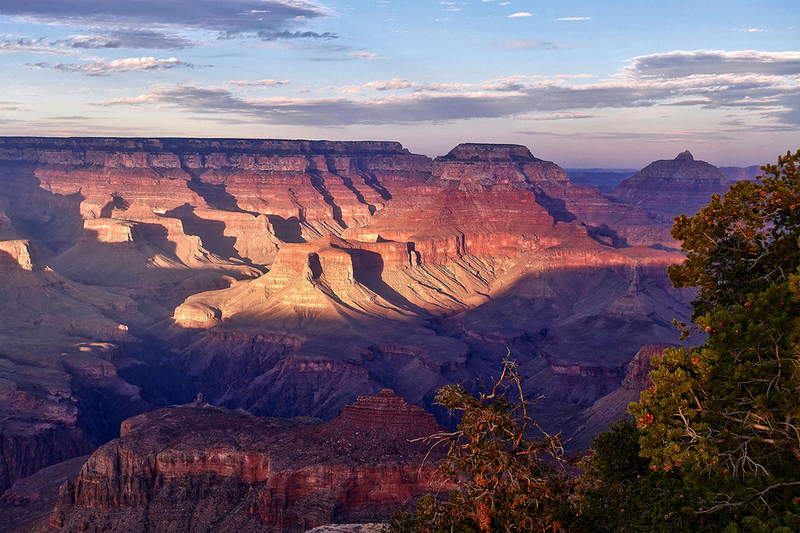 With its open desert vistas and clear skies, incredible sunrises and sunsets are a year-round commodity. Some variations in the weather are the result of Phoenix having a lower average elevation (approximately 1080 feet above sea level) compared to Las Vegas (at 2000 feet). Fast winds may whip up dust storms known as haboobs. Remember to keep the windows closed if one approaches. The region has a lot of cultural diversity. Part of the Wild West, the region also has a long history of Native American and Latin American settlement. Similar to Clark County, migration to Phoenix has come from the eastern United States, other areas of the Southwest, and newcomers from throughout the world. Although the cuisine is not as diverse as in Vegas, foodies will love the growing number of popular drive-thru restaurants, great choice of authentic Mexican cuisine, and an emerging coffee scene. Tourism is seasonal. While people fly into McCarran throughout the year for Vegas escapes, snowbirds make their greatest impact in Phoenix between November and February or March, depending on if they stay to watch one of the fifteen Major League Baseball teams that play in the Cactus League. Spring Training brings many baseball fans to the region. Unlike the Grapefruit League in Florida, fans do not have to drive across the state to see games, since they all take place in the Phoenix Metro area. Speaking of sports, the region is home to five major sports franchises that provide year-round excitement: the Arizona Cardinals (NFL), Arizona Coyotes (NHL, and the natural rivals of the Vegas Golden Knights), Arizona Diamondbacks (MLB), Phoenix Mercury (WNBA), and Phoenix Suns (NBA). Popular attractions include the Arizona Science Center, Desert Botanical Garden, Phoenix Zoo, and Wet’n’Wild Phoenix, for starters. Those who like day trips will have plenty to see. In addition to the numerous recreational opportunities along the Salt and Gila rivers, national parks and monuments such as Prescott National Forest, Tonto National Forest, the Sonoran Desert National Monument, the South Rim of the Grand Canyon, and Lake Powell are popular destinations. Those who enjoy fine wines will find many varieties to enjoy in the vineyards of the Sedona Verde Valley. Winter wonderlands are easily found in elevated plateaus around Flagstaff and northern Arizona. Of course, in Phoenix, there’s nothing like the Vegas Strip, but that’s true just about anywhere you may go in the world. Phoenicians experience less traffic congestion than those who have to travel in California urban areas or people who frequent the neighborhoods around the Vegas Strip. A well-designed grid system keeps cars moving, and those who live and commute in downtown Phoenix can ride their bikes along the popular 4.6 mile Bicycle Boulevard corridor. Getting out of the house for recreation is an enjoyable experience in Phoenix. There are 189 parks within Phoenix proper, including the largest municipal park in the United States. A Snowbird necessity, more than 200 golf courses cover the region. Phoenix has a slightly lower cost of living compared Las Vegas. Home prices and rental rates are similar as Phoenix is spreading out, building new suburbs as more people arrive and, even more than mountain-ringed Vegas, has lots more room to grow. The job profile in the greater Phoenix area is more diverse, with a growing emphasis on high-tech companies coming from California looking for a lower cost of living. Arizona However, the current job market is a bit slower than Vegas. While the average age in Phoenix is 4 years younger than Las Vegas (32 vs 36 years old), based on voter registration, Phoenicians on average are more conservative politically than Las Vegas. 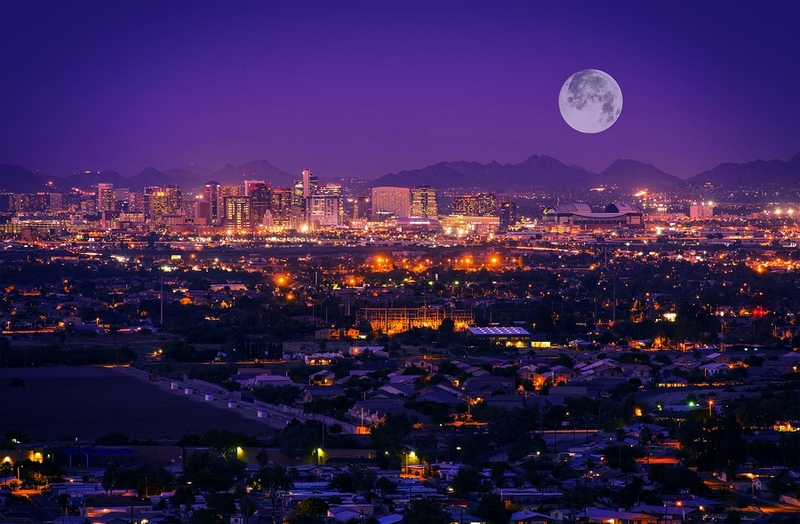 Phoenix is a sprawling and growing area with plenty to offer. While, for those who love nightlife, gaming and shows, it’s not as exciting overall as Las Vegas, many Las Vegans who consider leaving are looking for a less hectic environment and an affordable, peaceful lifestyle without losing the recreational opportunities, great weather and urban services they’ve grown used to. This combination is something Phoenix can offer anyone thinking of moving from Vegas to Phoenix. Move 4 Less is a locally owned Las Vegas mover serving the Southwest with affordable, fast and friendly local and long distance moves. We’ve been to Phoenix and back many times and can help you with a hassle-free move to Phoenix or anywhere you need to go. Give us a call or get a no obligation free moving quote now.